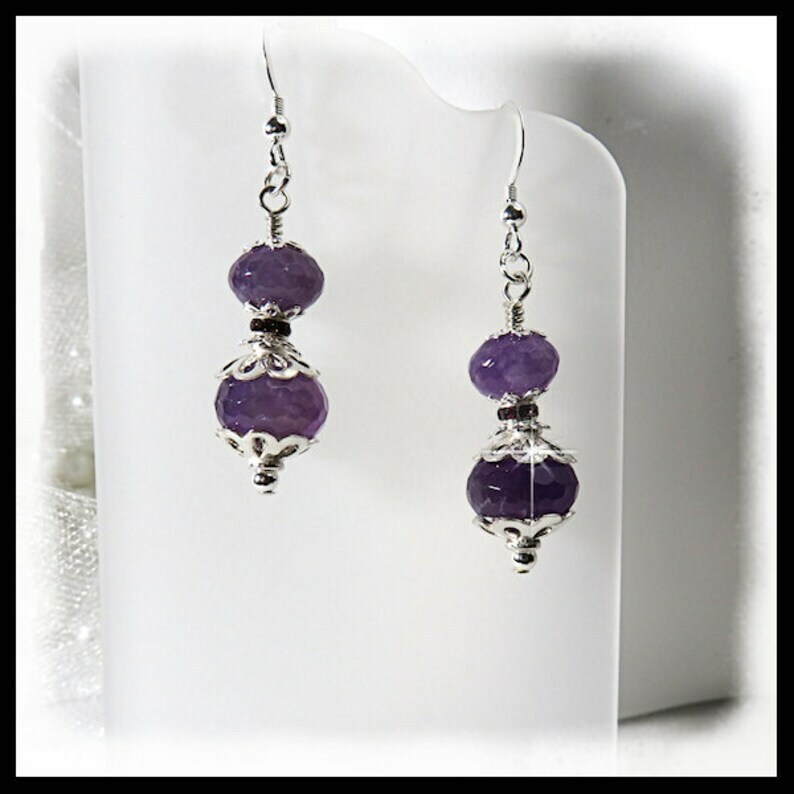 Amethyst rondelles are set in silver plated copper bead caps and sterling silver bead caps. Extra sparkle comes from Amethyst Swarovski silver plated rondelles. The earrings hang from sterling silver ear wires.